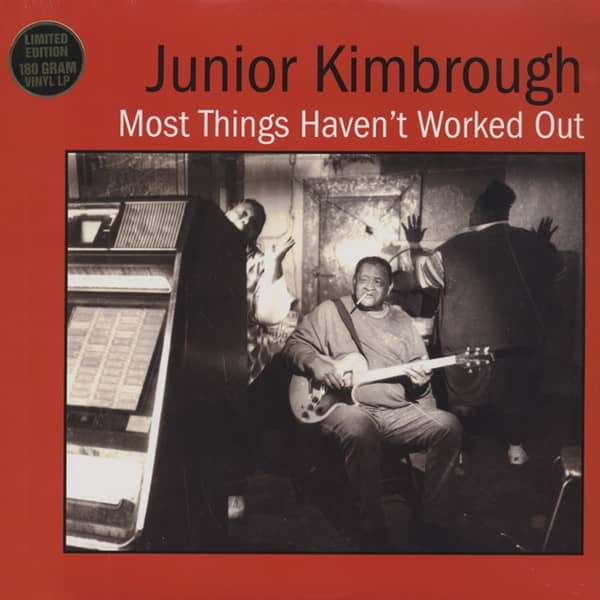 It took a crusading music journalist with a well-documented love for the blues and a brand-new record label based in Mississippi with a decidedly fresh outlook to give guitarist Junior Kimbrough his belated encounter with fame. Kimbrough's hypnotic, primitive drone may not have displayed much commercial promise when he was a young man, but it entranced 1990s blues fans when they finally had a chance to hear it on record. Until then, you had to journey down to North Mississippi hill country to absorb Junior's singular brand of blues (he held weekly Sunday night house parties at his home-turned-juke-joint for many years). David ‘Junior' Kimbrough was born July 28, 1930 in Hudsonville, Mississippi, close to the Tennessee border. While the rest of his family toiled in the fields, little Junior would sneak up and grab his dad's guitar off the shelf. Those early forays taught him enough to allow him to give guitar lessons to future rockabilly singer Charlie Feathers when both were lads (Feathers was so thrilled with Kimbrough's blues that he called them "the beginning and end of all music"). Heavy as his sound came to be during the ‘50s, Kimbrough found it difficult to make his mark. Between ‘All Night Long' and a highly atmospheric appearance in Robert Mugge's 1992 Mississippi blues film documentary ‘Deep Blues' (Palmer was its writer and co-star), Kimbrough finally received some national recognition. He made a couple more albums for Fat Possum, but health concerns limited his touring. Kimbrough died January 17, 1998 in Holly Springs, Miss., his fame at last extending outside the rural Mississippi area he called home. Customer evaluation for "Most Things Haven't Worked Out"